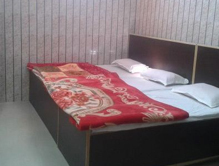 Positioned just 400m from Ragunath Temple, 5km from the railway station and 8 km from the airport, Ajay Hotel is one of best hotels located in Gumat in charming state of Jammu and Kahmir. It mixes old world charm with contemporary technology to provide the visitors with comfortable experience. One can take pleasure in a uniquely artistic ambience along with a variety of facilities that will make you spellbound and fascinated. 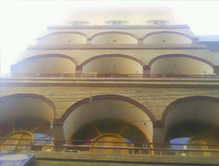 The guests can also explore the famous attractions situated in proximity to the property. There is a travel desk which caters to the travel needs of the visitors. Accommodation The rooms at Ajay Hotel come with modern facilities to make every moment of the guests as special as they are. Providing a pleasurable experience like never before, it offers unlimited choices to relax and unwind. Some of the facilities offered in each room are tea/coffee maker, mini bar, telephone, satellite TV and attached washroom. Dining The restaurant offers an array of lip-smacking Indian, Chinese and continental cuisine to make the guests’ stay pleasurable and gratifying. Guests can also relish the taste of the vegetarian dishes during the stay. Tour My India offers you an opportunity to experience an array of surprises by booking a stay at Ajay Hotel. Make your reservation in advance to avoid last minute hassle.